On June 17th, 2004, Jazz lost one of it's greatest talents. Our condolences go out to all of Jackie's family, friends, and the people whose lives he has touched with his music for over sixty years. A memorial was held at St. Peter's on Thursday, July 15th. 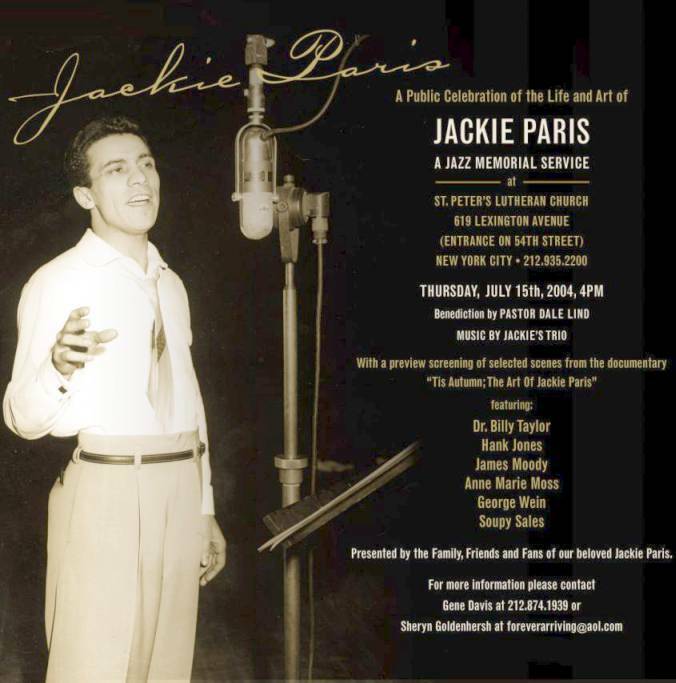 In keeping with the tradtion of the "Jazz Church", the event was a combination of service, reminisence and performances by perfomers both obscure and legendary, honoring one of the greatest singers Jazz has known.